Makeup and beauty !!! : ONE BRAND FESTIVE MAKEUP LOOK TUTORIAL! ONE BRAND FESTIVE MAKEUP LOOK TUTORIAL! 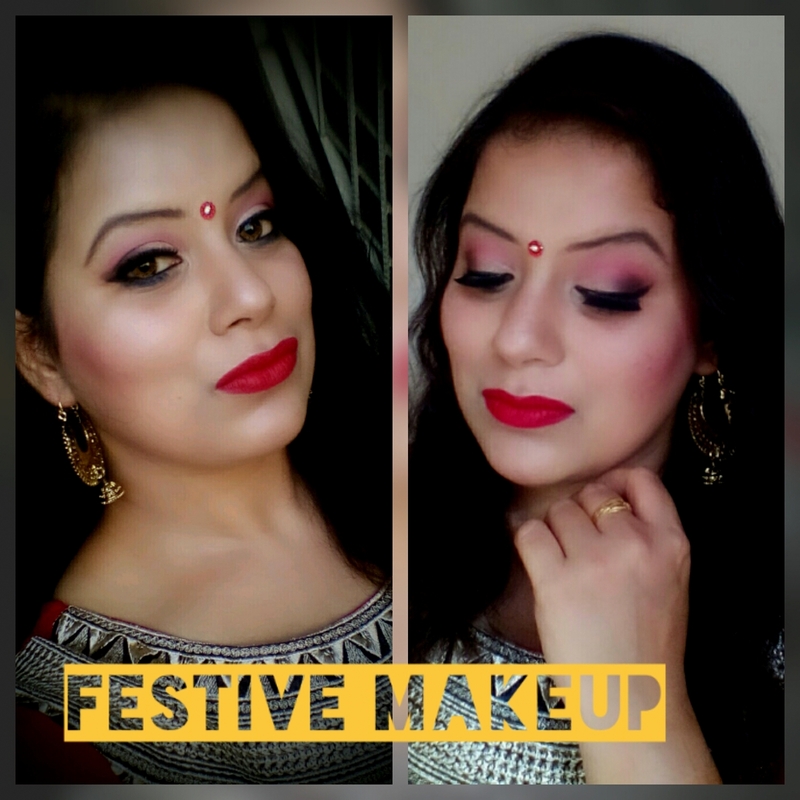 As the festive season is just around the corner so I thought to do a FESTIVE MAKEUP LOOK tutorial over my channel. 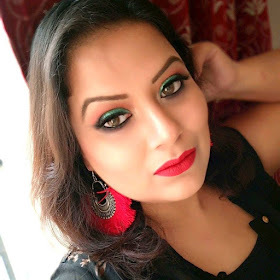 And to create this festive look, I took a challenge of ONE BRAND FESTIVAL MAKEUP LOOK. As you all know that my favorite brand is MAC any day so I decide to create this entire look using Mac product only. MAC STUDIO FIX FOUNDATION IN SHADE NC 35 AND NC 30. MAC PREP PLUS PRIME TRANSLUCENT FINISHING POWDER FROM POESIA COLLECTION. MAC FLAMINGO PARK EYE SHADOW PALETTE FOR EYEBROWS AND EYES MAKEUP. MAC BLACKTRACK FLUIDLINE AS EYELINER AND MASCARA. MAC TROLL BEAUTY POWDER "PLAY IT PROPER" FOR HIGHLIGHTING.